Open support ticket ph probe fail after 6 months they only warranty the apex 1 year not the probe. Probe are 90 days only, Horrible service I would not recommend it. Great for what it is but lack of a manual or any online tutorials make using very frustrating. Good luck if something goes wrong. This will lead to searching thru forums, hoping that you can find one related to what you are searching. Support has been good but slow to respond. For the price I would expect better. Setup and fully functional on day 1. On day 2, 3, 4 base unit drops from wifi and loses connectivity to fusion (of course while away). Day 6 wifi drops again and I come home to find a flashing energy bar and base unit with no reboots helping. I now need to send the base unit in. Not pleased with the quality right now. I've been trying for 2 weeks to get the salinity probe to calibrate. BRS immediately referred me to Neptune, who have been little help. All they do is keep sending me complicated calibration instructions which do not work. Every time I write back saying it didn't work they send me different instructions. They say eventually they will send me a new probe if it wont callibrate, but I'm starting to doubt it. I think their strategy is to stall for 6 weeks (the length of the warranty on the probes), or hope I'll go away. The power strip is nice, but so far the salinity probe is useless. The other probes seem to be working, but I'm starting to wonder if they really are either. Giving it two stars for the power strip, but I'd say zero on the probes. I'm feeling I wasted $800 here, wish I had a redo. Probes are so far off. Apex support will send you ways to calibrate them, but same results. Then they stop answering all together. Don't waste your money and time. Way to much time. I like the power strip, but the probes are unreliable. 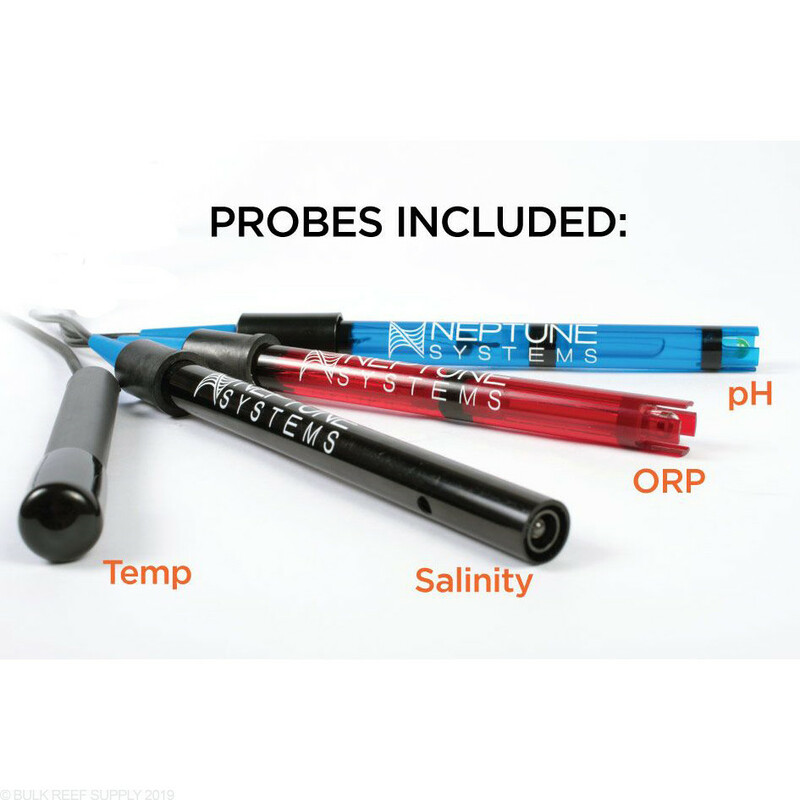 The pH and Salinity probes are inconsistent, and not even close to accurate. Have tried recalibration but probes continue to be inaccurate. Readings jump around constantly each day, and aren't even close to the right values. APEX support was far less than helpful. They didn't care and wouldn't do anything to help. Waste of money. I have owned this apex for 6 months. first 2 months I was impressed. Then the EB832 died. Ended up sending it in for warranty. Between the emails, phone calls, and sending it in, I was without the apex for a month. Got it back and everything was great. The WiFi was glitchy, had to reset the apex at least once a week. I wrote it off to my router. Then the WiFi quit working completely. After working with customer service for a week, they finally got it working. The next day the EB832 died again. After emails and phone calls, I sent it in for repairs. It's been 3 weeks and haven't received the EB832 back. So out of the 6 months I have owned it, it has been operational for a little over 3 months. Not really impressed. When it works, it exceeded my expectations. On a good note, customer service was superb. Works great. Had issue with probes; deff temp acclimate solutions it helps! Other than that and maybe calibrating a second time after it runs a while I believe everyone should have one, it deff gives a peace of mind. Besides the piece of mind of knowing whats going on with my tank while I'm at work, I had a few issues in setting up my DOS water changer, called customer service, Jon Moshacher who is one of the technical support team has always contacted me within a few hours whenever I've needed help, he logged in and fixed what I coudn't understand while I was at work. I will always stay with this system for the customer service alone. Was waiting forever for the next Cerebra to see if its worth it. buddy got burned on the first one. couldn't wait any longer. pulled the triger. shouldn't have waited. this thing is great. 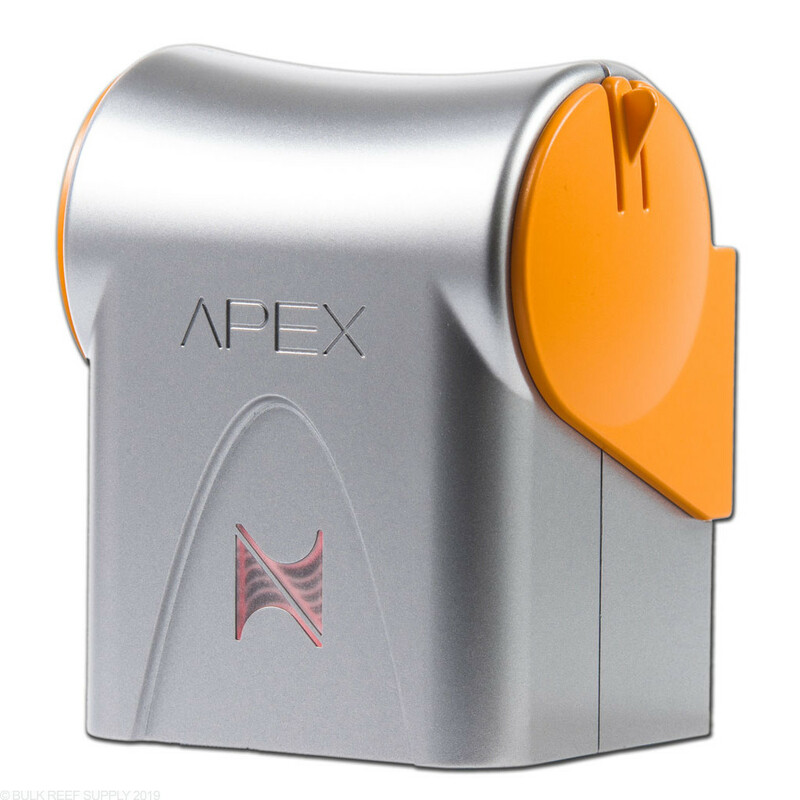 I had the original Apex for years. I did a tank for my son and moved it to that and bought the new Apex for my tank. All I can say is this the set up process is light years ahead of what I remember on my old Apex. I attached it to my network and then just started running the tasks for the different devices. The whole thing took me about an hour start to finish with all the outlet naming etc. I could not be happier with my new 2016 Neptune apex. I failed to follow directions and had to get a new salinity calibration solution. But adding all the componets and monitoring by my phone is great. It gives me some peace of mind when I am away from my home. I love this product I am on my way to a low maintenance tank. Does it come with any type of probe holders? This will not include the probe holders which are available separately. Does it come with a probe holder? This will not include a probe holder. However the are available separately. Will the tunze pumps that say apex ready just plug in, or do you still need their power supply as well? 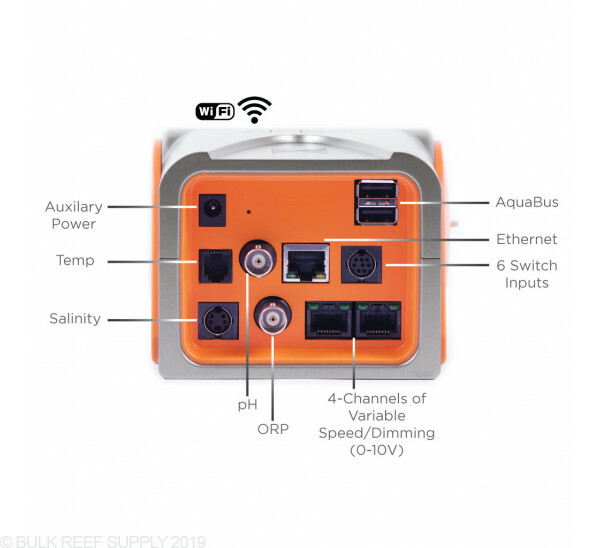 You won't need a separate power supply to control the Tunze pumps through your Apex, but you will need the control cable found here https://www.bulkreefsupply.com/2-channel-aquasurf-apex-to-stream-cable.html which will plug into the Apex base module. Will this come with a new digital display module? The Apex Controller does not include any display module. You can upgrade your system to one if you wish to do so, however with the super low prices of some tablets on the market you may want to look into picking one of them up and dedicating it to your aquarium controller. That way you can do programming, monitor, and control everything a bit easier. When do you anticipate the Energy Bar 832's being available for purchase separately like the regular EB8 is currently? They will release within the next month the additional EB832 energy bars for individual sale. Feel free to let us know if you have any further questions! Does it have a new head unit? This will have a newly designed head unit which can be mounted and rotates for easy access. Can I use my Energy Bar 8 if upgrade? Great question! The new Apex will be compatible with the old energy bar 8. Hey BRS just wondering what the item is in the last 3 pictures? That item you are seeing is the newly designed Apex Head Unit. 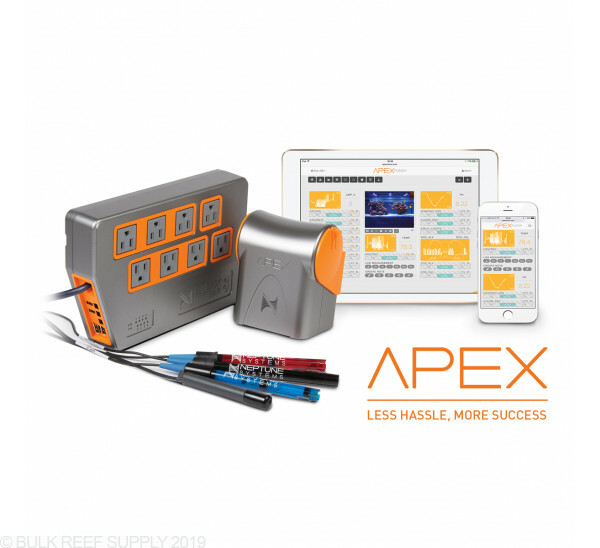 Does the New Apex System come with a control head with external display? Great question! 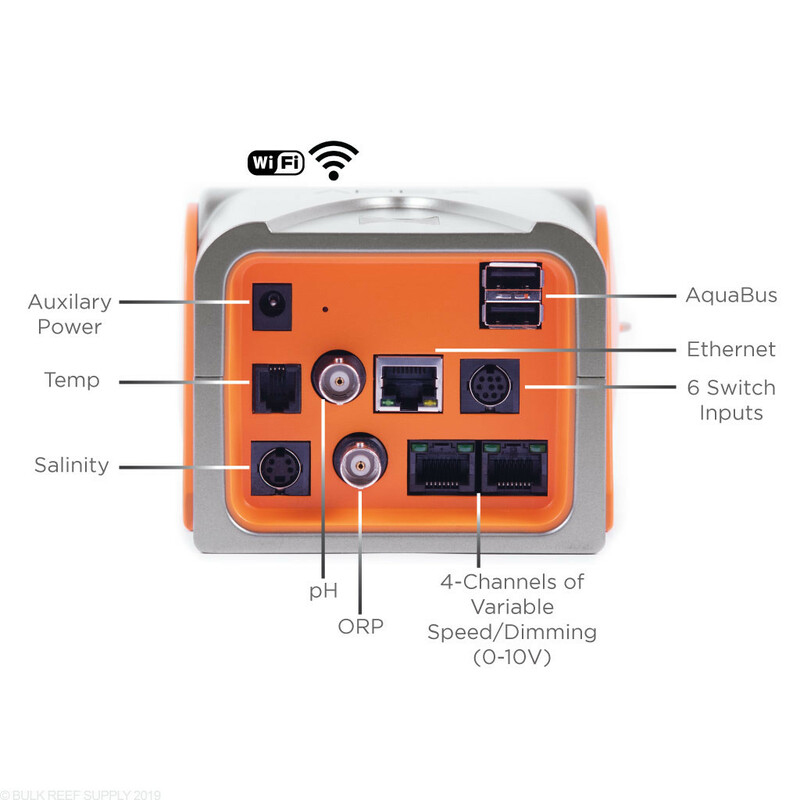 The new Apex will not include the aqua controller head unit like the old systems had, but it is wi-fi compatible with MacOS, and Windows devices. Neptune will have an aqua controller available for purchase separately for the new system as well. Can I use this controller for two tank on separate room? While it can be done you would need to find cables separately to reach the distance. 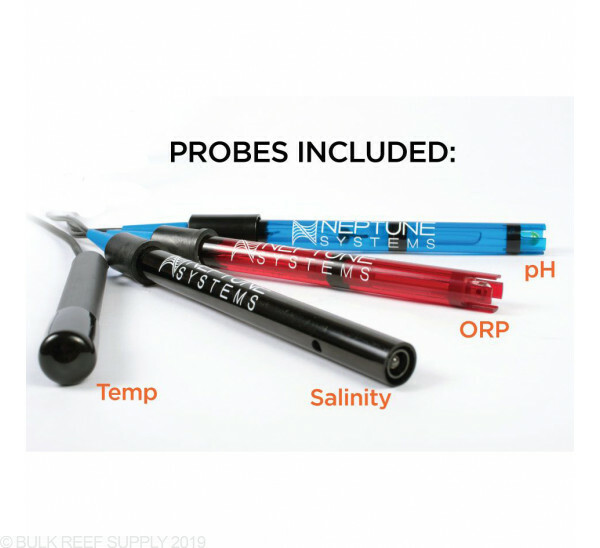 Does this come with ORP, salinity, ph, temp probe? Correct, this will come with all 4 probes. 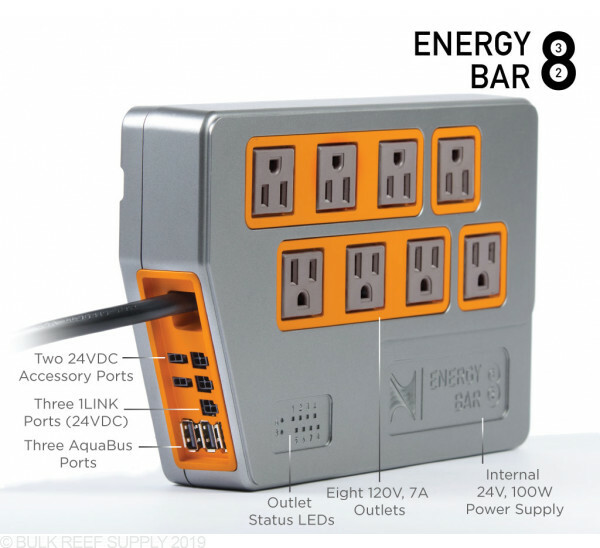 Is the Energy Bar 832 a surge suppressor or do I need to plug it into one to protect the Apex controller and the equipment plugged into it? 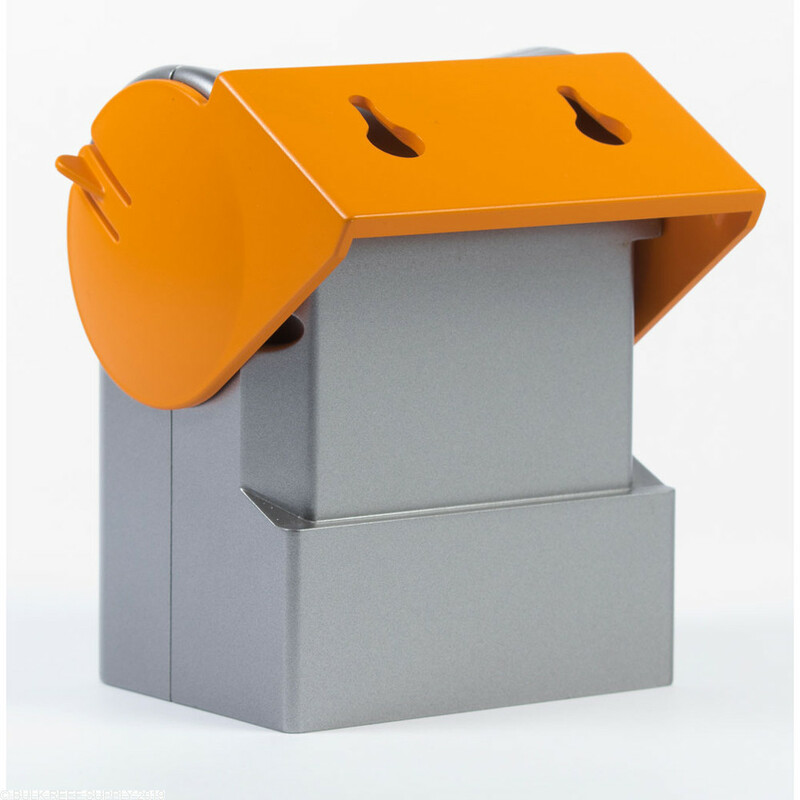 The Apex has some protection built in, but to be safe it never hurts to plug it into a good quality surge protector or UPS. What material is the housing made of? Great question! 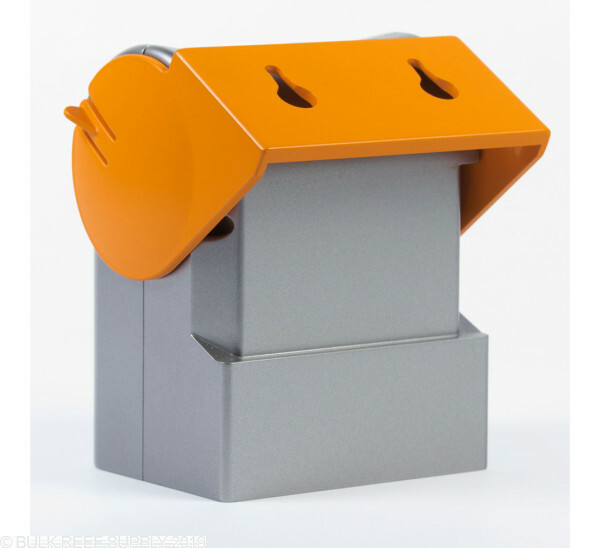 The housing for the Apex Head Unit, EB832, and the Modules are plastic. Can this unit monitor ammonia? The Apex controller does not offer reading for ammonia. Feel free to let us know if you have any further questions. Can you add 2 of the Energy Bars (EB832) to 1 system? The Apex system is capable of running many different modules, including multiple power bars on the same system. These will all link together via the included AquaBus cables. The new EB832 is huge! What are it's dimensions? The New EB832 will be 9.6" long 6.25" wide and 2" thick. Is this the only unit that will be compatable with the upcoming Trident?...or will it also work with the Apex Classic? You are correct. The Trident system will only work with the newest version of the Apex and will not work for the Apex Classic or Junior packages. 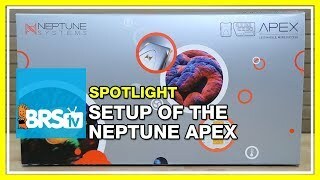 Will Apex control the Kessil 700 light fixture? If not, will this capability be available in the future? The AP700 actually has its own built-in wireless control through the Kessil iOS software, with Android app control coming in the near future. We're not aware of any plans to make this Apex compatible, though of course future changes are always a possibility. Since the new model has WiFi capability, does we still need the WXM to control EcoTech VorTechs and Radions? You will still need the WXM module in order to connect to Ecotech Devices. Feel free to let us know if you have any further questions! 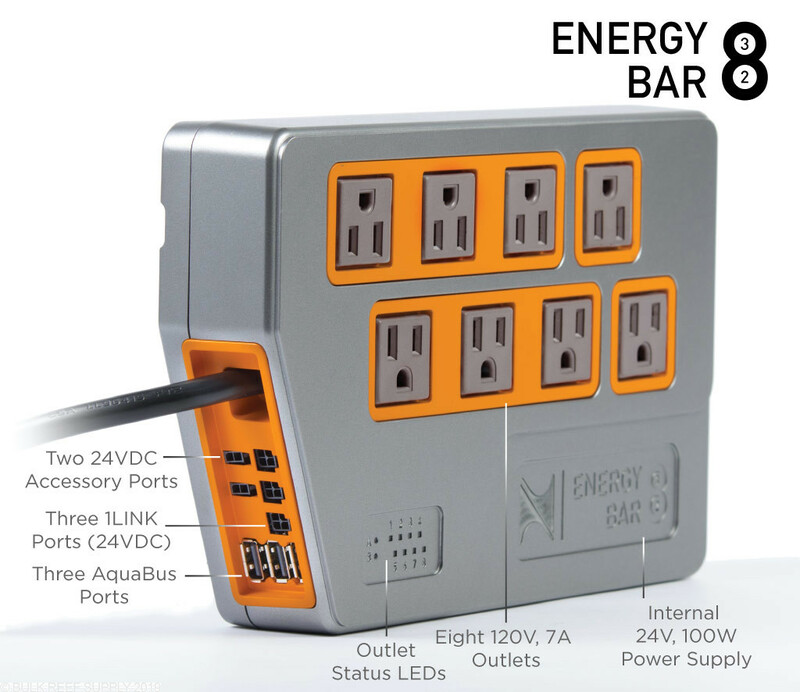 I am planning to buy the Apex Controller System and want to know how far away can a second energy bar be placed. My sump is in the basement and I want to control lights and fans in display tank on the first floor. Are the aquabus cables regular usb cables? The cable connection from the display tank energy bar to the main energy bar unit would need to be roughly 20 ft. Is it possible to connect the second energy bar? Does the unit come with solutions to calibrate the probes? These will come with the initial calibration packets for the pH probe. Feel free to let us know if you have any further questions! We appreciate your interest! At this time our distribution area is limited to the US and Canada. Hopefully some day in the future we'll be able to expand this to serve customers in your area! What material is used to make the silver on the unit is it aluminum ? Just my guess. Great question! 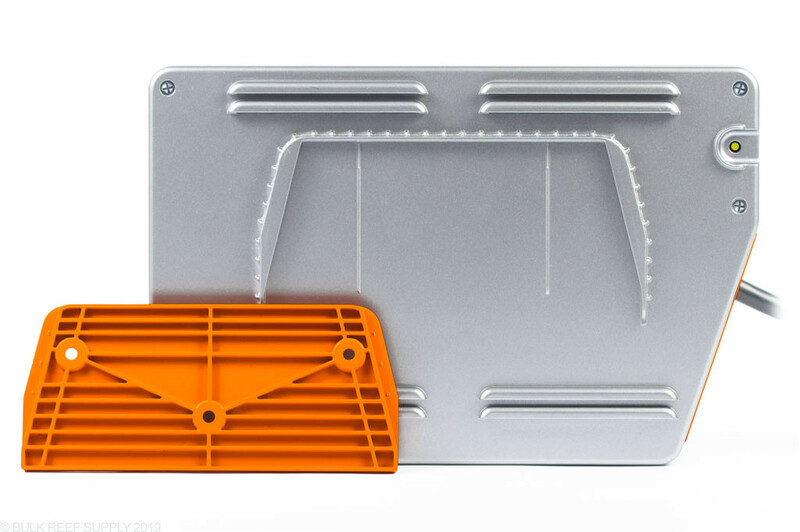 The housing for the Apex Head Unit and the EB832 are made of plastic. The Apex Controller can have a display module added to it at any point. 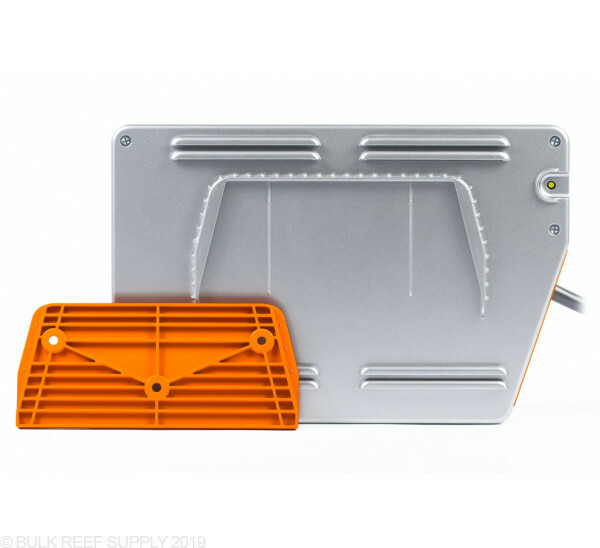 We do carry them and they simply just plug into any open Aquabus port. I have a system in a location that does not have internet access. I realize Fusion will not work, but can I put the apex on a local network with a pc and still be able to program it and access all of its functions? Also, as new modules are added, will they require Fusion or can they be controlled without it? The Apex Controller can be programmed through a local network. There are additional features and benefits to using Fusion but not having internet access is not a limitation. When it comes to new modules, there are times that a firmware update may be required to utilize a new module or feature. You could bring the controller to a place that has internet access to do updates or if possible create a network through your cell phone too.